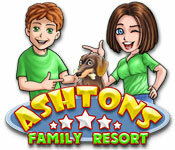 Ashton's Family Resort is rated 3.5 out of 5 by 4. Rated 5 out of 5 by 3meme from A fun TM game Be prepared to click, click and click some more. Don't forget to find Sammie. A very fast paced TM game. Rated 4 out of 5 by chagen521 from Simple I found this game to be fun. It is simple without being to kiddish. You are the role of a married couple who is running a chain of resorts and managing them on a day to day basis also while building a house for them to live in. After every level you do a mini game where you match 3 to try to get the materials for whatever part of the house you are building for that given level. A downside is that you can not pick the upgrades that you get for the resort so when you have money to spend they tell you what to spend it on. 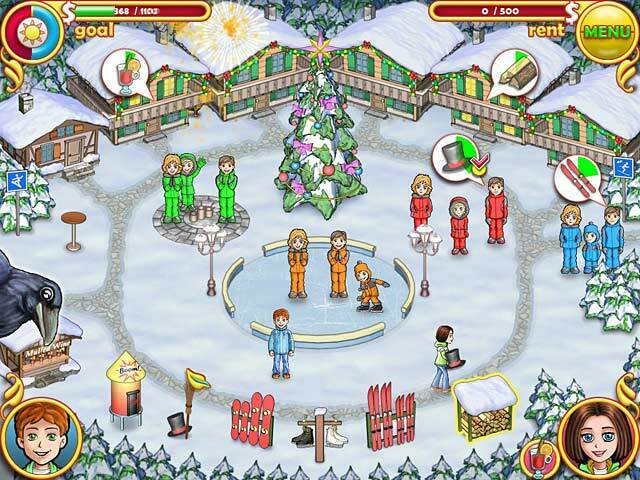 Rated 3 out of 5 by ginger_fish from Too much clicking! Don't really need to think alot, just lots of clicking. Had a trial, will not be buying it though. Bit boring I thought, every level the same old thing. At the end of each level you have to play a match game, which involves more clicking. The game is ok, but very basic. Rated 2 out of 5 by bep1 from Click Fest I had high hopes that this would be a fun game. It looked interesting. But all it is is a click fest. You have to keep clicking so fast that it is almost impossible to always reach the expert goals, or even regular goals sometimes. I don't enjoy a game where the only goal is to click as fast as you can.